Looking for best software to recover your deleted files from your computer? If yes, then you are in a right place to find out the top data recovery software for Windows 10. There are many software’s to get permanently deleted folders. 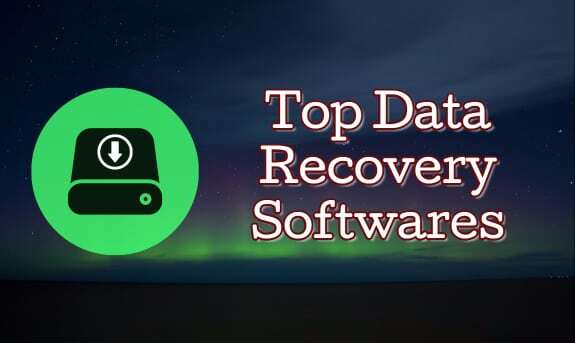 It is very hard to pick one best software so, I decided to give a list of free file recovery Apps for Windows 10. You can recover shift deleted files most of the times but if you have replaced any new files or folders in the same partition chances are very less to recover that files. Try these file undelete software and pick your best one and let us know which one did u like the most. Recuva is the best file recovery software. You can restore permanently deleted files in Windows laptop easily. Recuva can recover files from your hard disk, Pendrive, Memory Cards or any other device you can easily recover files with Recuva software. It is available in both 32-bit and 64-bit versions. If you are using 64-bit operating system download 64 bit Recuva because 64 bit software will work faster than 32 bit if you are using 32 bit OS 64 bit OS will not work. Software usage is very simple. Windows beginners can also use this software without any problems that’s why I like this one very much and i personally use this. This is free of cost but there is pro version also. Recuva Pro offers many features than the free version. If you can spend some money to recover your valuable files this is worth buying. You can recover all your files in few clicks. Pandora is also a good Application to get unexpectedly shift deleted files . You can get back deleted files in windows 10 or Windows 8.1/8. 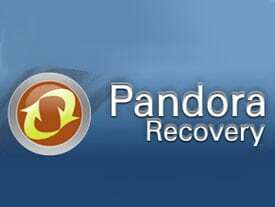 Pandora allow you to recover any kind of file from your hard drive or any USB you can recover all types of files like documents, Videos , EXE files or anything. Success rate of this software is good.You can download this software for free but you will not get full features if you want to get full features you should buy the premium version of this software.It supports all version of Windows OS but i did not tested this one in Windows 8.1 and 8.So if you have any issues With this let me know. This is also a great app to get back your shift deleted files. We can easily recover permanently deleted files from our recycle bin in Windows 7,8,8.1. This is very easy to use simple user interface. It supports all major Windows operating systems like Windows 8.1, 8, 7, XP, Vista and Servers 2012, 2003 , 2008.It is free software but it has a limitation that you can’t recover files more than 2GB in free version if you want to recover more files you upgrade your membership.It has a very good user interface it will display list of recoverable files like in windows explores that looks very nice. Puran file recovery is yet another super software to recover files. You can Retrieve deleted files in Windows PC. It has many features that are not present in any other recovery softwares. It scans any device(USB. Pen Drive, Mobiles) whatever detected by windows .It will show you lot of results compare to other software’s that means chances are very high to recover all your old files. One best thing about this software is it can recover your complete partition/drive if it is not overwritten by any other new files.It also supports all major Microsoft Operating systems as well as windows servers. You can get this software for free no to spend even a single penny. As far as I have seen these are best and top programs to get back your permanently deleted files in any Windows operating system still there are many software’s available in the internet. If you want you can try them if you found any other good apps please share them with our readers. If you have any thoughts about please let us know. Don’t forget to leave your comments & Share this article if you find this helpful. Trying some of them to recover lost files from my hard drive. This message is for Srinu Ipathy or any expert or MVP from a 77 year old computer user for free voluntary help in recovering his media files and documents which accidentally got captured in AppDataLocal Packages…Local State….LiveComm….20000000xxx etc. I figured out from Everything Search but do not know how to archive & recover them with their real names into my Documents, Downloads, Pictures, Music and Videos Libraries or in my User Name System folder for apropriate distribution by copy & paste. Only sincere advice & help…no spamming…please! Is there any forum for help & education for senior users? NEXT POST » Clixsense Review – is Clixsense a Real Site or Scam?